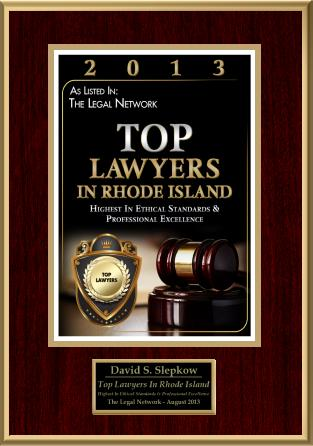 Many vehicle mishaps in Rhode island and Providence Plantations occur as a result to hazardous highway conditions, bad weather or objects in the roadway that cause single car accidents. In many of these cases, no action of the driver could have prevented the accident from occurring. One-vehicle automobile accidents cause serious injuries and fatalities, which often requires the motorist to file a claim for compensation. • Collision Coverage – This form of insurance will pay for property damage if the insured hits another object or vehicle. • Comprehensive Insurance – This coverage insures the policyholder in the event the damage was caused by anything other than colliding with an object or another vehicle. This could include any loss by vandalism, windstorm, fire, theft, falling objects, hail, flood, explosion, glass breakage or hitting animals or birds in the roadway. • No-Fault Coverage – This insurance pays the insured for any bodily injury or property damage in an accident or incident that was not their fault. No fault coverage is not available to Rhode Island residents. In many incidences in Rhode Island, single vehicle accidents are the result of improperly maintained roadways, manufacturer defect, irresponsible driving by other motorists or some type of driver error. Any action or condition that can cause the motorist to swerve or lose control of the vehicle has a potential of causing an accident. This includes potholes in the roadway, sun glare or flying objects such as a falling tree branch or rock hitting the windshield. • Distracted Driving – When the driver is texting, talking to others, eating, drinking, grooming or other distracted activity, the vehicle can easily collide with objects or drive off the road. • Impacting Objects – Hitting an electrical post, curb or animal in the roadway can cause a single vehicle accident with serious injuries or fatalities. • Impaired or Drowsy Driving – Driving while under the influence of alcohol or drugs can cause the motorist to lose control of the vehicle and crash. So too can drowsy driving when the motorist is fatigued and nodding off while operating the car. • Hazardous Road Condition – Fog, snow, ice and rain can all be contributing factors to a minor or serious single car accident. • Mechanical Failure / Defect – Any issue with the vehicle’s steering, braking system or tires can cause an accident that does not involve other vehicles. 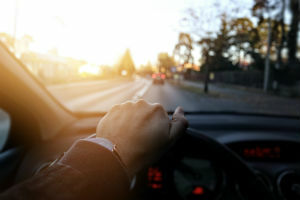 While many drivers will seek compensetion from their own insurer for property damage against their own motor vehicle, there may be additional third parties at fault for the accident. Because of that, drivers and passengers suffering injuries or property damage will hire a Rhode Island personal injury attorney to help obtain fair and full compensation. A skilled RI car accident lawyer might be able to determine that potholes in the road, poor road construction, defective tires or faulty brakes contributed to the accident with damages, injuries or fatalities. The Providence auto crash lawyer can file a third party claim seeking additional compensation to cover the victim’s medical expenses, lost earnings from time away from work, property damage, pain, anxiety and suffering that are directly associated with the accident. 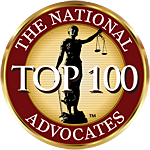 A claim or lawsuit might be filed under premises liability, product liability or personal injury tort law. Single car accident cases are usually accepted on contingency. 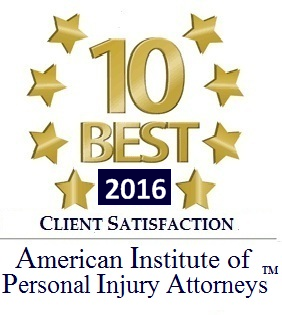 Reputable Woonsocket, Newport or Cranston personal injury law firms typically offer a free case analysis to discuss the merits of a claim for compensation.